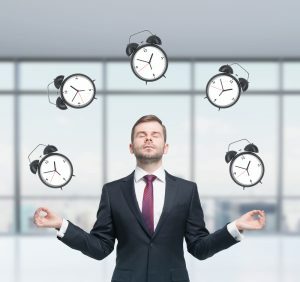 Are you too busy for Mindfulness? Try this one minute practice. Have you heard about mindfulness but feel your life is already too busy for anything else? Let’s face it, who has time for 20 minutes of meditation every day? In these busy modern times our default setting often seems to be hurry, hurry, hurry. We know we need to slow down. If we tune into our bodies we notice that we are in a low level state of emergency half the time – shallow breathing, tense abdomen, clenched jaw. These uncomfortable symptoms are signs of stress and can become our constant companions. How to break this cycle of frenzy and rushing? This mini mindfulness practice can provide space in our busy lives and takes less than a minute. Mindfulness is simply about taking a break from thinking and doing and being present in the moment. It brings us out of the mind and into the body and so helps break the cycle of unhelpful mental busyness. Our five senses can be used as gateways to the present moment. Instead of mentally galloping ahead with planning we can practice the following little one minute routine to bring moments of peace through the day. The process is simple and can be memorised by thinking of the word STOP. P = Proceed. Carry on with whatever you were doing. This mini practice gives you a chance to press the reset button throughout the day. It can be done on your commute, at work and while you are at home. It is the perfect portable technique to keep you in touch with inner calm and tranquillity all day long.